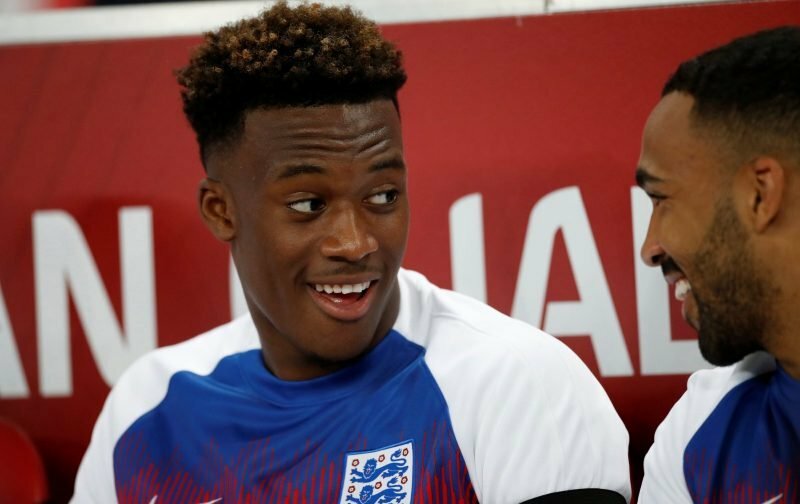 Now a full England international and the youngest England player ever to make his debut in a competitive fixture, Callum Hudson-Odoi is set to feature heavily in the media. Sadly, it appears it is for reasons that the Chelsea support hoped wouldn’t come to fruition. Despite getting more game time, albeit in an England shirt as opposed to a Chelsea shirt, the news source, the Daily Mail, is reporting that the 18-year-old has decided he wants to leave Stamford Bridge as soon as possible with our quoted source highlighting that, as we may have mentioned before, Barcelona and Manchester United joining Bayern Munich in the pursuit of the talented teenager. Furthermore, elsewhere in the media, or to be more precise the Metro, picking up on something in the German media is reporting that Chelsea are willing to listen to offers, in excess of £43 million, for the next superstar of the English game. If the above is true and the youngster is sold, for a fee in excess of the figure above, it’ll signal to any youngster coming through the ranks at Chelsea that they haven’t a hope in hell of achieving longevity in a Chelsea shirt.